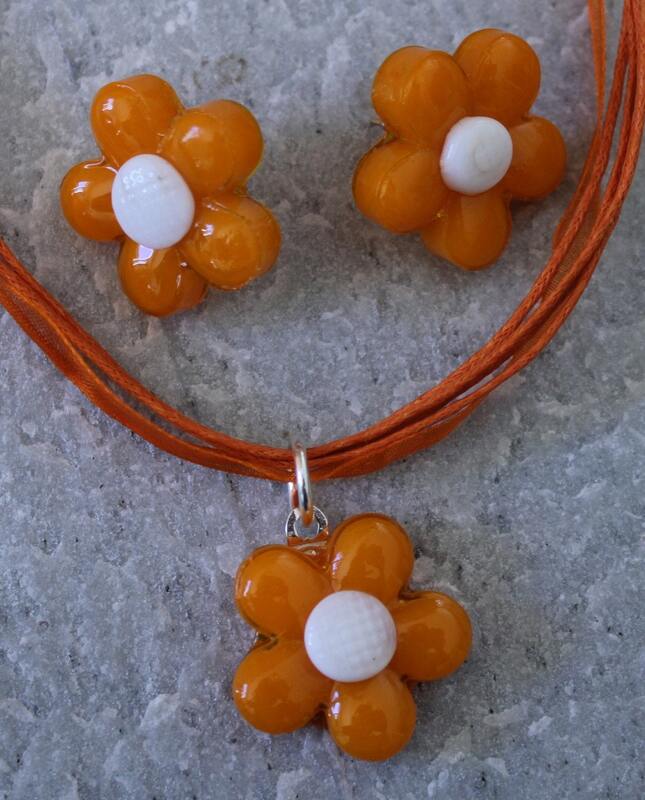 These handmade glass orange and white daisy flower pendant and earrings are on sterling silver posts and come on a 18" to 20" adjustable orange ribbon necklace. The glass daisies were hand made by me, glass artisan Mary Sudak, in my studio in California. 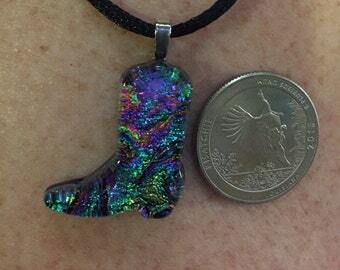 I use a process where I used powdered glass called frit in a mold and placed it in a kiln. The glass is annealed for strength and durability.